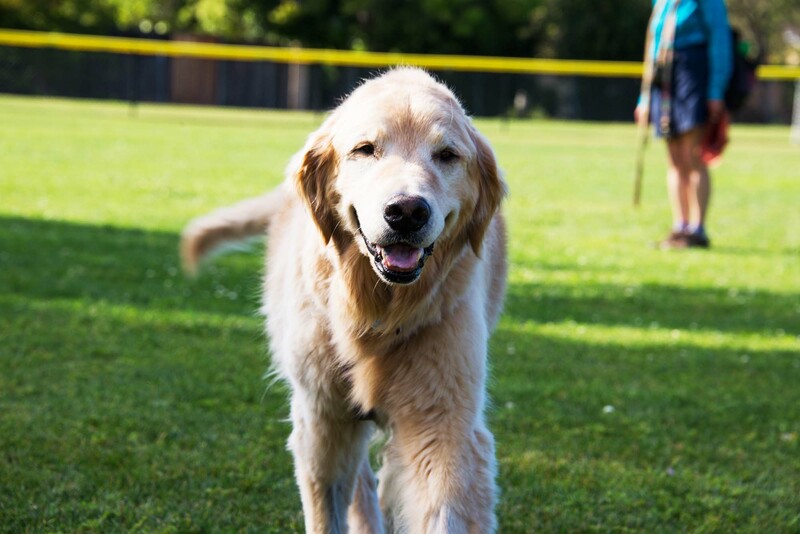 As the school year comes to an end and the summer sun begins to shine, more and more students and families find themselves with more time to bring their dogs to frolic outside at Palo Alto’s three sanctioned dog parks. Verde set out to see how much these parks provide for our furry friends. Nestled in the far back corner of Hoover Park, this enclosed dirt area is filled with dozens of dirty tennis balls, trees, pooper scoopers and a water pump. It’s a little narrow, so it’s probably best suited for dogs who want to chase balls in a line. The park lacks any grass, but has plenty of mud patch and dirt. Based on our experience, we urge you to keep your canine away from the water bowl since it gave our pups painful diarrhea, but the rest of the run is fine. Overall, the Hoover Run is a little ruff, but a decent place for a dog who just wants to chase balls. The Mitchell Dog Park, located at the back of the bustling green center, is a puppy paradise. It was not only the biggest of the three we visited, but also the most diversely populated, with both big and little dogs. Additionally, owners had the option to choose from at least 10 different seating options placed in the sun and in the shade. The land is evenly split between sand and grass, with two water buckets on each side. Dogs have the space to both fetch balls and wrestle with each other. The cuteness factor of the park is definitely improved by a pair of mini red and yellow fire hydrant replicas that served as pee stations. It may not be 100 percent Zootopia, but it comes pawsitively close! The Greer Dog Park is everything that a dog park should not be. Firstly, there are no signs designating the area as an official offleash dog park. What we found was a low fence that encompassed a barren strip of land. To our horror, an entire side of the fence was lined with chicken wire and thorny weeds. The strip, a mix of hard bare dirt and concrete, was littered with sharp thorns and trash. Unlike the other parks, Greer didn’t offer pooper scoopers or water, and no dogs were there. Ironically, the one dog we saw that day was playing happily off leash in a non-designated grassy area right next to the sanctioned dog run. The Greer Dog Park isn’t just not fun, but also looked unsafe. Paws off!